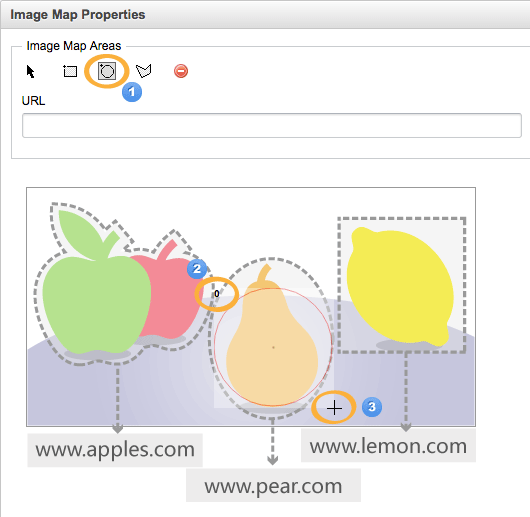 If you want to add multiple links in different areas of your image, you need to add image maps for the links. 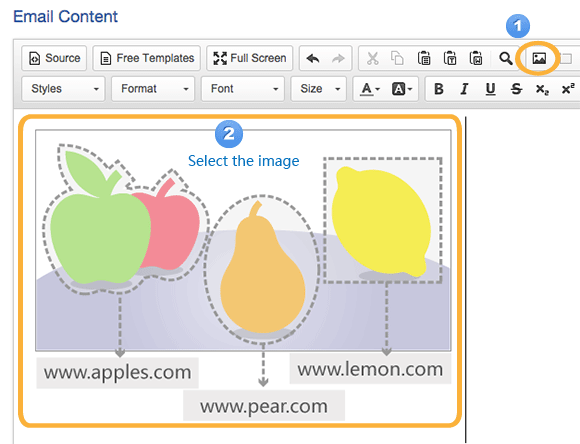 In the editor of [Email Content], insert your image and select it. 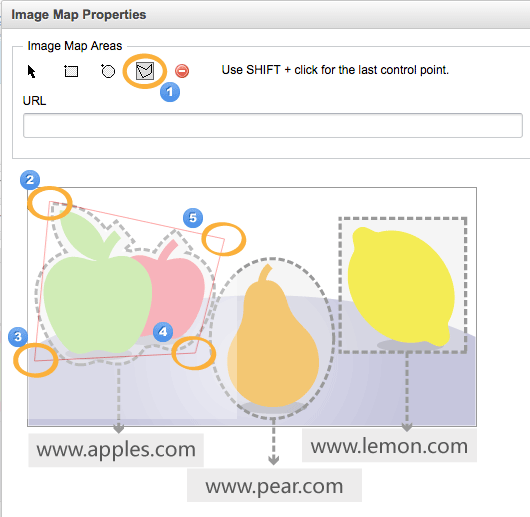 Learn more about how to insert images in email content. Click [Image Map] icon in the Menu of the editor. There are three area shape for your selection. 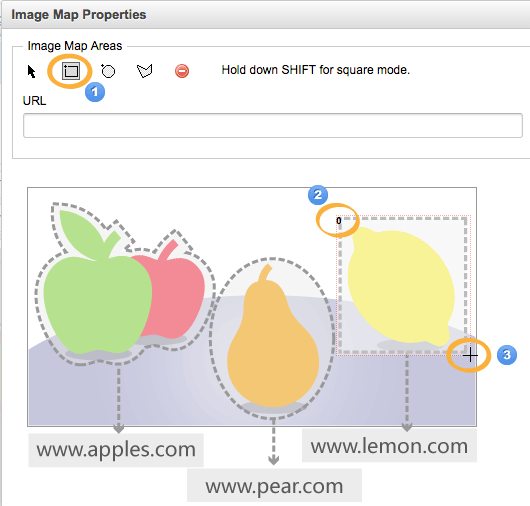 Choose a suitable area shape and draw the area where you want to add a link on your image. Select [Rectangle] Area. Single click the top left point of the area you want to add link in your image, then move the mouse to draw a rectangle, and single click on the bottom right point of the area to finish drawing. Select [Circle] Area. Single click the top left point of the area you want to add link in your image, then move the mouse to draw a circle, and single click again to finish drawing. Select [Polygon] Area. Single click to add control points, Shift + single click to finish drawing. 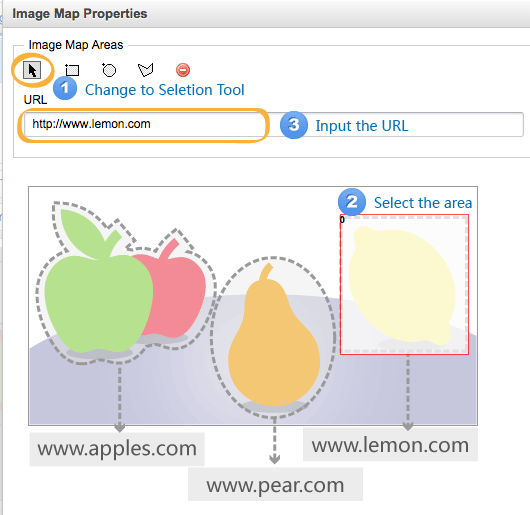 Select the image map area, then fill in the URL for this area. The URL need to begin with "http://" or "https://". When everything is ok, click [OK]. The image map area will be shown with a grey frame.